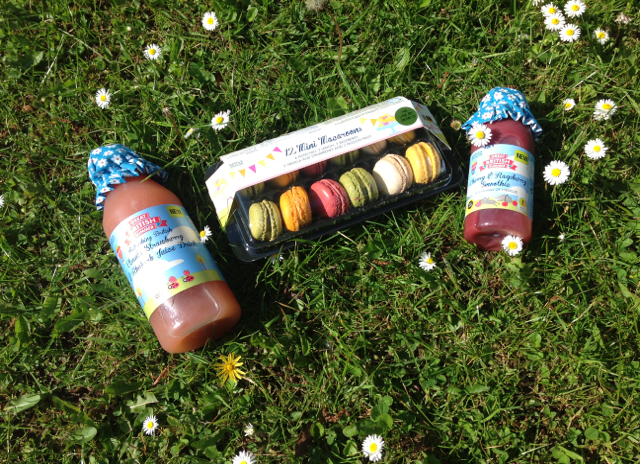 I picked these up from Marks and Spencer's I decided to have a little Macaroon party in my back garden. I love the little sun hats on top of the bottles the big one is Rhubarb and Strawberry juice and it is delicious and the other is a Cherry and Raspberry smoothie which was also really nice. FYI Pistachio Macaroons are amazing and I will be trying to make them myself very soon .